It is well acknowledged that fewer and fewer customers are setting foot in banks these days. Such a trend is likely to increase with preference for electronic transactions. 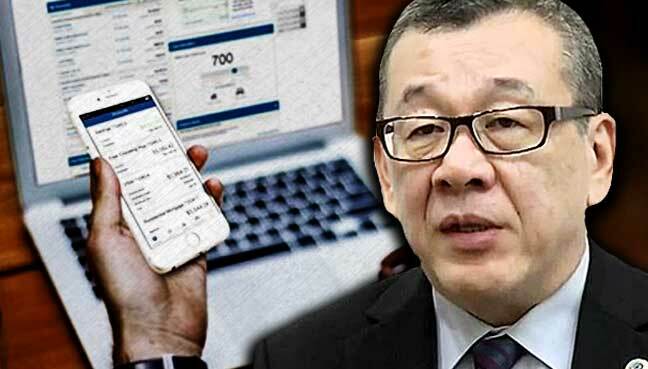 Online banking has been on the increase, a trend heavily promoted by Bank Negara Malaysia (BNM). An average of two million new users have been reported annually since 2010. The penetration rate is expected to grow by 2.6 per cent. As banks consolidate with focus on customers’ preferred electronic channels of banking, fear of job losses has been echoed. Banks however have given their reassurance that staff will be redeployed and re-skilled. This is easier said than done as not every employee has the necessary basic skills in the fast-evolving innovation economy, let alone understand its potential. Not many including those from branches, will have the chance to stay abreast of new technology and the opportunity to be in such a space. Central to these challenges is the need to recognise that transformation of the industry has started. Technology disruptions will continue to reinvent delivery systems. Already available in the market is artificial intelligence, robotics, and automated work production. New technologies have the capacity to create new jobs, as well as changes to work practices. Cloud technology has been singled out as one example. Reflecting such changes is a need to recognise that a new digital culture will demand a shift away from a conservative silo based management to one that is more open coupled with the sharing of know-how and responsibilities, especially in the development of digital banking services and customer engagements. As banks embark on high value work, it is likely that efforts to consider outsourcing low value and non-core office administration work, will be accelerated. Such a possibility however, may not be so simple in a regulated industry where confidentiality of data is of primary concern. Nonetheless, future work in the industry is likely to change in order to support virtual banking. This means a change in the way skills are being deployed. As a result, we will see a shift away from the conservative managerial duties and reporting to less formal management styles. The deployment of innovation workers will mean flexibility in working conditions, including allowing people to work from home. Here lies the opportunity for people to stay where they are instead of shifting to the capital city, thus saving costs and providing convenience. Use of mobile applications will replace the need for face to face communications. While digital banking demands new competencies, fundamental skills and knowledge of banking will continue to form the core. The process will continue to demand that banks stay in touch with customers. One inclusion is the possibility of having in place more interactive systems empowering customers to do more than transactional services. It will also be necessary to emphasise the importance of raising customer awareness on financial education. Banks too are obliged, to assist customers who are less IT savvy and lacking the necessary financial know-how. At the management level, decision-making structures will need to be reviewed. Digital policies will need to be developed allowing clarity in roles and authority. In order to meet the demands of digital banking, technological skills will not be enough. There will be a need to develop skills and expertise in understanding e-business, communication, risk, and finance. All of these offer fresh opportunities for banks to raise the standards of competencies in analytical thinking, empowerment and coaching others including customers. By offering more digital competencies and training of non-IT staff in career transition, it will enable a better understanding of the potential for IT. Many core and non-core banking courses will have to be offered on an e-platform as they prepare for their digital roles. Enhancing the capacity will require a shift in mindsets, away from traditional methods of learning. Appropriate tools including mobile phones and reporting online will be necessary as part of change management efforts. As banks accelerate their plans to bring their costs down, going digital will be just part of the story. But what is clear to many is that technology is changing the way banks interact and create value for their customers, and the preparedness to embrace change will hopefully mean no one is left behind. After all employees form a solid basis on which to start. Tay Kay Luan is the former CEO of the Asian Institute of Chartered Bankers (AICB)..